↑ Although the ACT has its own government, it remains a territory ultimately under Commonwealth rule. 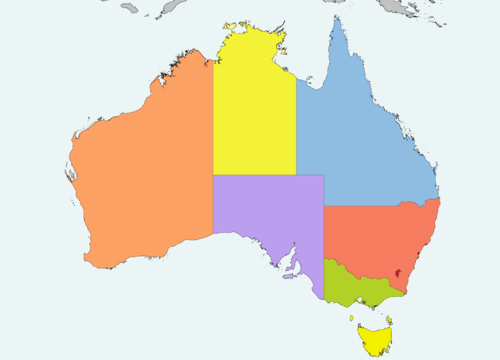 ↑ in 1911, South Australia transferred responsibility for governing the Northern Territory to the Commonwealth Government of Australia. It was granted self-governance in 1978, however the Northern Territory is still considered a territory under Commonwealth rule, not a state.